Why skin film is the new way to reduce wrinkles and under eye bags. We have all seen miracle creams that claim to get rid of wrinkles and under eye bags. The unfortunate result for most women and men is that these products don’t show real noticeable results. In fact, WebMd published an article pointing to a consumer reports investigation, https://www.cbsnews.com/news/study-most-wrinkle-creams-dont-work/, showing most wrinkle creams have negligible effects and some can cost hundreds of dollars. The question for many is this: Is there anything that works, short of surgery or injections, for Under Eye Bags and Crow’s Feet? The answer now is yes. 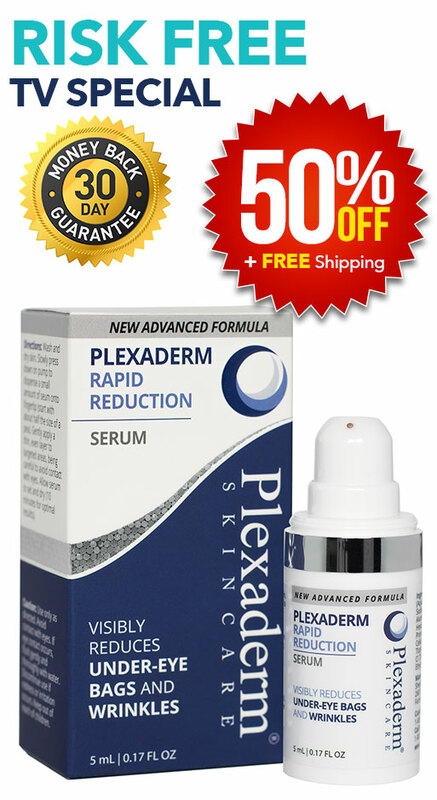 A clinical study was done in 2016 on a cream called Plexaderm, and it showed that it works differently. Plexaderm forms an invisible film on your skin, tightening under eye bags and wrinkles around your eyes in minutes. While it’s not a permanent solution, it does work to significantly reduce the look of under eye bags. It works in minutes to smooth crow’s feet from view.